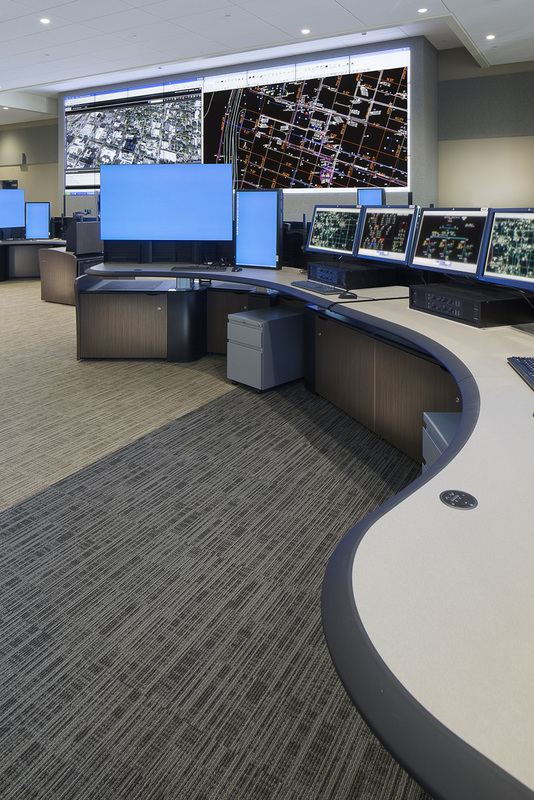 SMUD’s core values of Leadership, Community, Ingenuity and Integrity were considered and incorporated into every major and detailed decision for their new DSO Control Center project, which is being constructed at the Utility’s new East Campus Operations Center in Sacramento. From the beginning, there was a clear understanding that the community and ratepayers were the “client” and that they are served by industry leader in grid and distribution operations technology. 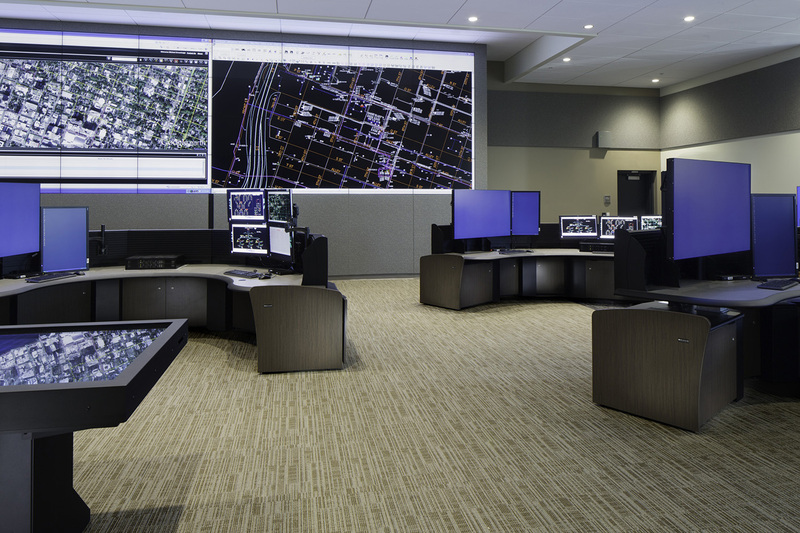 In order to best apply that technology, from both a technical and human perspective, Lionakis designed collaborative teaming and emergency response spaces. 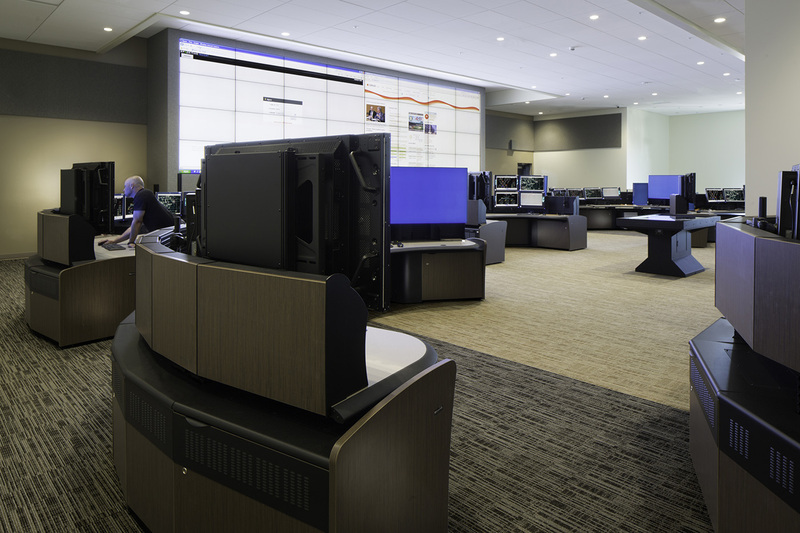 Tools such as a collaborative multi-user touch table and full-wall video display system were utilized to bring interaction and flexibility to the DSO’s operational mode. 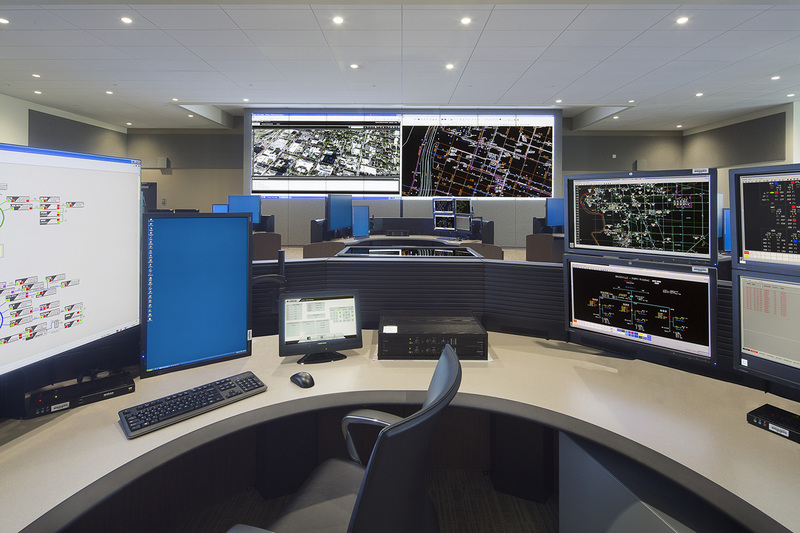 Above all, the DSO Control Center had to be clean, quiet and ordered to maintain the integrity of the operators responsible for maintaining the distribution of electricity and, ultimately, SMUD’s mission and core values. Lionakis focused on every detail to maintain order and cleanliness in the control room and support spaces. All systems are concealed yet independently maintainable while operations continue without distraction.